We all seem too afraid to be all by ourselves. 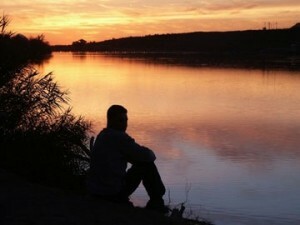 But being alone is actually a perfect time to contemplate about your life, your decisions and the position you are in. Don't get me wrong, I'm not supporting being lonely. Being alone and being lonely are two different things. Spending time with yourself, devoid of connection on social media, family and friends can help you find solace in the company that matters most: the relationship we have with ourselves. There must be a reason why most scientists, thinkers and great men of the past advocate alone time. Solitude can help in a lot of ways. Here we have compiled a few reasons why spending time with yourself can actually help you. There are times when your mind gets overwhelmed by what is happening in your life and you don't even have the time to react. Things have been happening at such a fast pace, it's time to slow down and figure out what went wrong or what needs to be done about it. This will clear your mind of all the unnecessary baggage that comes with a stressful career. Solitude is a great way to unwind after a stressful day at work or college. It's a great way to put away all your problems and worries for the time being so that your mind doesn't wander away into depression. However, it is essential that you divert your mind from something that may be troubling you for too long, well, that is another story altogether. Being all by yourself will help you appreciate the company of others when you are ultimately with them. Yes! You finally get to do what YOU want to do. Not what your best friend, or your partner, or your mother and father want to do. You get to read what you want, you get to watch what you want, and you get to think what you want. In most cases, we end up in conversations that never really concern us and are just to help others. Having alone time will help you be able to think about what you need, rather than others. Making your decisions by yourself will make you less dependent on others. We shouldn't be dependent on others for our happiness. Being alone will make us realise this and work on this as well. Let us take a decision... to take time out for the most important person in our lives, who we ultimately have to give an account for – us.